Ukraine’s parliament, the Verkhovna Rada, today passed only one of four controversial proposals that local media groups had criticised as a potential threat to freedom of expression in the country. The parliament passed draft bill 1317, which “establishes general criteria for determining audiovisual products which can be a threat to national security of Ukraine, particularly those products that praise armed groups of the country-occupant, prohibiting public use of such products and imposing sanctions on economic entities which will ignore such a prohibition”, according to the Verkhovna Rada web portal. According to Media Group Ukraine, which had opposed the legislation, the law prohibits the distribution in Ukraine of films produced in Russia, as well as films that promote the police, armed forces, military or other force authorities of Russian Federation. The three other bills, which have attracted intense criticism in Ukraine, failed to secure approval. Ahead of the debate Ukrainian broadcasters had publicly condemned plans by the governing coalition to introduce the bills, which they say would seriously endanger freedom of expression in the country. 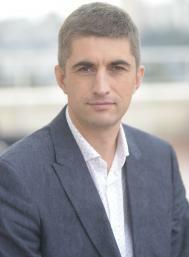 Media Group Ukraine CEO Yevgen Lyaschenko published an open letter to president Petro Poroshenko, prime minister Arseniy Yatseniuk, Verkhovna Rada chairman Volodymyr Groisman and others expressing “deep concern” with legislation that he says is contradictory to international law and European standards. The legislation would give have given the regulator, the National Council on Television and Radio Broadcasting, wide-ranging powers to suspend channels’ licences without a court judgement for reasons that include the presence of foreign citizens among their owners, channels airing content from non-EU countries as well as to exclude from the airwaves anyone who has expressed support for Russia. “Whatever are the [content of the] bills or wording to cover the intent behind them, we deem it unacceptable that the National Television and Radio Broadcasting Council of Ukraine be authorised to temporarily (pending a relevant court ruling) revoke a licence of any TV channel in the country. It is only the court ruling guided by serious and well-proven grounds that might decide on the broadcast suspension. We also deem it impossible for the state authorities to introduce any extrajudicial restraint on media content when such a restraint is based on extremely vague criteria,” said Lyashenko in the letter. Rival broadcaster Inter has published a similar letter by chairman Yegor Benkendorf. “Under the guise of a ban on anti-Ukrainian propaganda, the draft laws pending their hearing grant unlimited powers and authorities to the governmental regulator of the media sector – the National Council for TV and Radio Broadcasting, they effectively introduce censorship over the TV broadcasting, enable the regulator’s arbitrary – without obtaining a court ruling – termination of broadcasting of media outlets independent of the government. These bills introduce unjustified restrictions upon TV content and put in place a legislative prohibition on the future operation of a considerable number of TV channels and radio stations co-founded by foreign citizens,” Benkendorf said in the letter. Benkendorf criticized planned measures against foreign ownership as being similar to Russian legislation. “Peculiarly, the bill talking about a ban for non-residents’ equity partly replicates legislation of the Russian Federation so commonly referred to by the same MPs when disparaging the Russian media regulation regime. However, the Ukrainian language of the law is a lot stiffer as it disallows any transitional periods for Ukraine’s TV broadcasters and does not distinguish between majority and minority shareholders,” he said. Inter attracted the wrath of National Security and Defense Council Secretary Oleksandr Turchynov in January after broadcasting a New Year concert that featured two Russian performers that had publicly supported pro-Russian separatists in eastern Ukraine and were known for their pro-Kremlin views. This week’s letters were published ahead of the planned Verkhovna Rada debate on the legislation on Tuesday, which was then postponed until today. Inter Group also this week saw a change in its ownership structure with a stake owned by Russia’s Channel One reportedly being bought out by GDF Media and Inter Media Group for US$100 million, giving the pair 100% control in a move seen as intended to remove the immediate threat of sanctions under the foreign ownership rules. The Ukrainian broadcasters’ protest comes a week after Russian security operatives raided the offices of ATR, the only channel in Crimea broadcasting in the minority Tatar language, in a move seen as part of a wider crackdown on the Tatar minority in the peninsula, which was annexed by Russia from Ukraine last year.